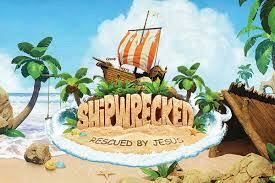 VBS was held from Monday, July 16-Thursday, July 19. Family dinner was scheduled for 6:00PM, however, most families arrived at 6:30. Meals were provided by ECW, Latino mission, Altar Guild and The Brotherhood of Saint Andrew. Many thanks to those who provided the meals! The meal brought many families to the church. Parents were encouraged to stay and participate in the program. In 2019, registration will begin on April 8, and parents will encouraged to complete registration before VBS begins. We will continue to accept registrations on the first two days of VBS, but it is essential to have most of the registrations in advance. A follow up meeting to discuss VBS 2018 and plan for VBS 2019 was be held on Monday, August 20 at 6:00PM. VBS 2019 will be held from June 3-June 6 in the evening. Changing the program to an evening one had the unexpected consequence of higher humidity and higher temperature than the morning program. By moving VBS to June, it will likely result in cooler temperatures. A tentative calendar for VBS 2019 has developed. Follow-up meeting was very helpful in planning for 2019. Vacation Bible School is annual event that occurs during the Summer. For the past several years, it has been a day time event, this year it was changed to an evening event. Vacation Bible School provides an opportunity to for children to become immersed in the teachings of Jesus through music, bible study, games, crafts, and video presentations.